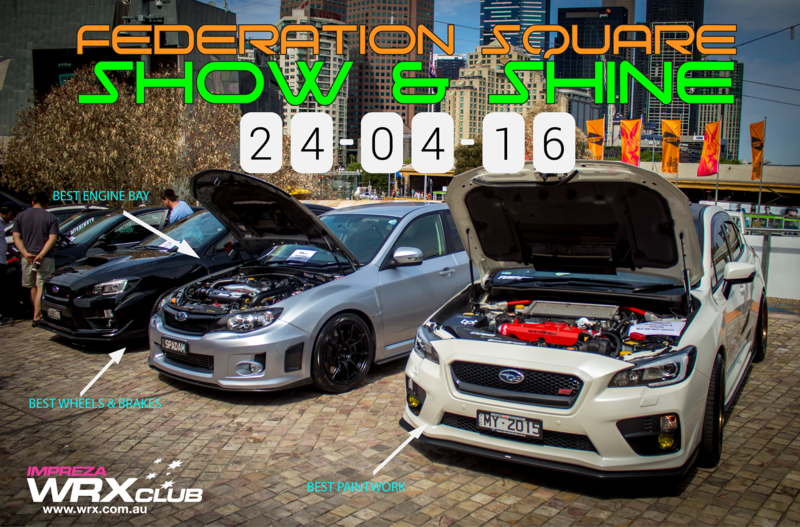 The Impreza WRX Club has again been given the privilege of hosting our club Show and Shine within Melbourne's iconic Federation Square. We are allowed to display a maximum of 25 cars* so get in quick as it is sure this will fill up quickly. *Vehicle display is only available to full members, with Subaru vehicles. The entry fee will be $10 which will be donated to the Cancer Council Australia.